On Thursday, German Chancellor Angela Merkel announced that her government would be open to back lower tariffs on U.S. auto imports as a potential European Union (EU) concession to the Trump administration – just one day after CEOs of Germany’s biggest carmakers reportedly voiced support for eliminating such tariffs entirely. 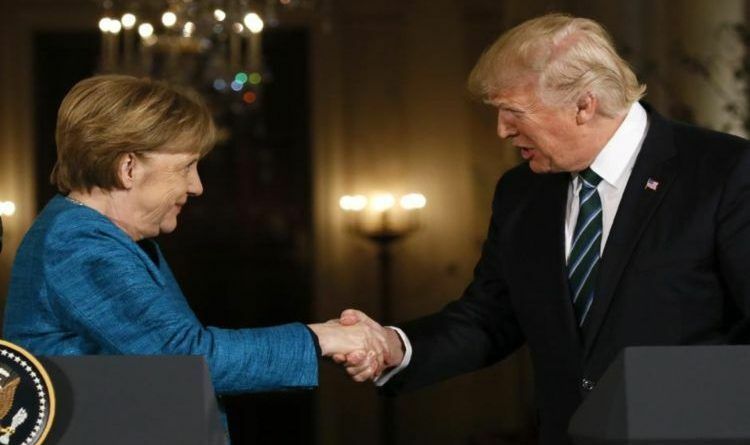 Via Fox Business: “On Wednesday, the chief executives of prominent German auto companies – including Daimler, BMW, and Volkswagen – “liked” a Trump administration proposal for both sides to reduce those tariffs to zero, according to German business news outlet Handelsblatt. The proposal was said to have been made by U.S. Ambassador to Germany Richard Grenell during a meeting at the U.S. embassy. That is exactly what Trump is looking for. You do not charge USA tariffs and the USA will do the same. You charge tariffs and USA will match your tariffs. FAIR. America just keeps on winning, thanks to President Trump’s Leadership! They are all going to cave! No one wants tariffs! It’s just a tool to pressure countries to bargain honestly! Merkel is just the first to give in. Expect the rest of Europe, Canada, and China to follow their lead. Way to go, President Trump!!! Love that you are watching out for Americans!!! But, it’s such a disservice that the MSM gives him absolutely no credit for all he’s accomplished. So don’t forget to share this article, because the MSM will not report this!